Our land abounds in nature’s gifts – some of which crawl and bite, but all of which must be seen at least once in your lifetime. Here’s how . 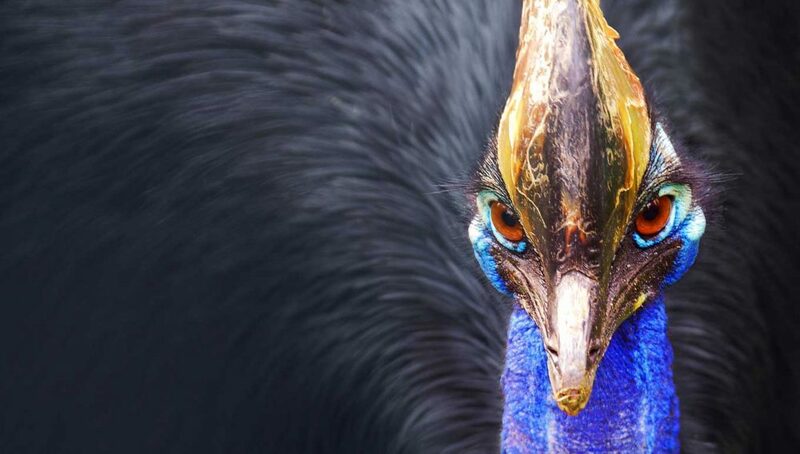 . .
Why: After the ostrich and the emu, the cassowary is the third largest bird in the world, standing at an impressive 1.5m plus. However, if they keep disappearing at the present rate – there are more giant pandas in the wild than cassowaries – then the winged wonder in fourth place is due a promotion. The female of the species has long since taken women’s liberation to levels even Germaine Greer would agree are excessive: the put-upon male is expected to look after the eggs and protect the chicks for the first couple of years. The female during this time is presumably having a great time at the Myer sale. Where: As there are thought to be fewer than 1500 cassowaries left in the wild, tracking them down is no easy challenge. Or, for that matter, a wise challenge, as they can be rather aggressive. However, if you’re willing to take on the beaks of death (or at least nasty wounds), then Mission Beach – between Cairns and Townsville – is known as a hotspot. Here they’ve been spotted in back gardens, stealing Chicko rolls from unwitting fish ’n’ chip shop patrons and, more tragically, lifeless by the side of the road. Etty Bay is probably the best place to see them, although woe betide anyone who decides to hang on grimly to their picnic. Alternatively, Cassowary Tours ( 4034 1202 or www.cassowarytours.com.au) do one-day bird watching trips around Cairns and the Atherton Tablelands, where these somewhat assertive birds can be observed from a safer distance. The trip costs $165.